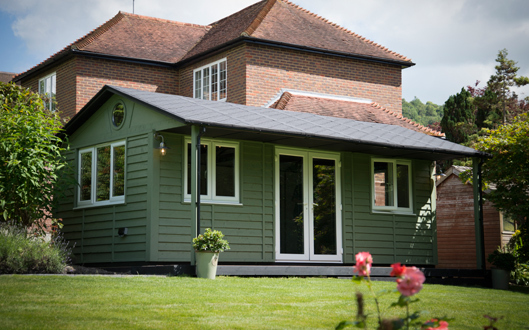 New into our 2015 range the Extro Suffolk barn is perfect for a long and thin location. 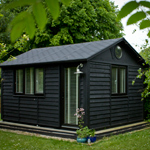 The Extro Suffolk Barn is perfect for City gardens being a good size without excess depth. 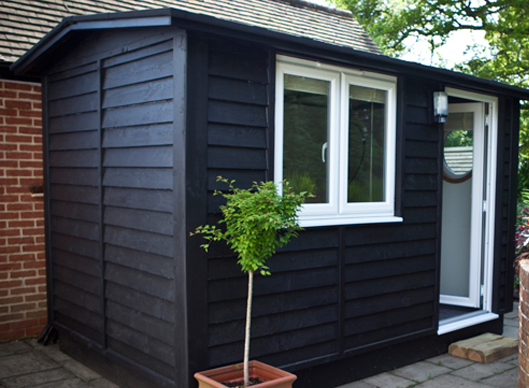 This adaptable and versatile building is an ideal garden office or leisure room and can be configured to suit any garden and many uses. 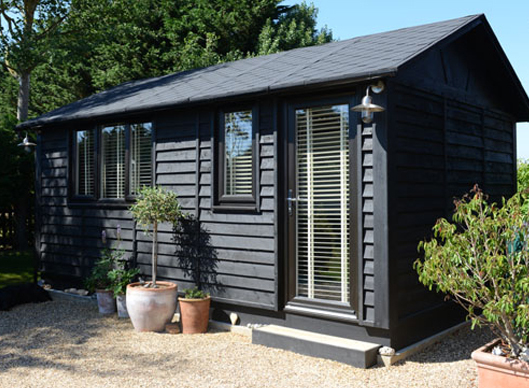 The Extro Suffolk Barn measures 4429mm x 2117mm (14’6″ x 10’6″) this lovely room is full of fitted extras to make sure the Extro is practical and comfortable. 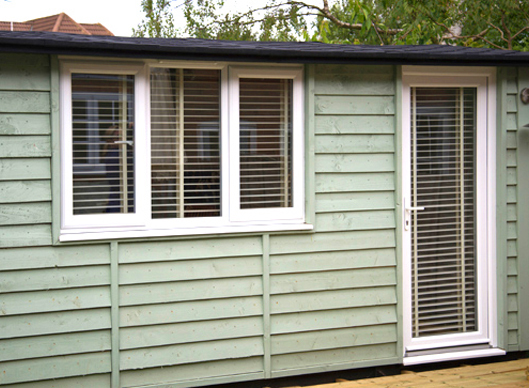 Fully insulated, completed with double glazing on windows and doors you’ll want to use your new space all year round. The traditional pressure treated weather board eludes to a classic rustic charm. 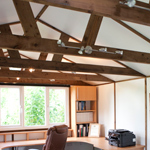 However the construction method for the Extro Suffolk Barn is a modern technique. Designed for sustainability and rigidity. 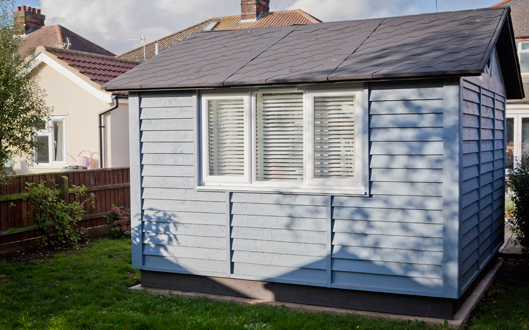 Click here to see our TuSC construction system. Designed and built by us right here in our factory. 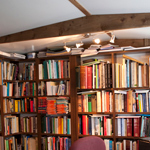 We’ll help you create your Book Nook ready for your new Extro Suffolk Barn. Whether it’s a retreat or the perfect place to discover new books, this beautiful window seat is surrounded with bookshelves to enable you to get the most out of your space. 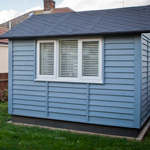 The Extro Suffolk Barn won’t require planning permission in most locations, however we offer a hassle free planning service. Although the Extro is designed for long and thin gardens, it’s interior doesn’t suffer with the consequences. Still offering a light and spacious room with plenty of extras. 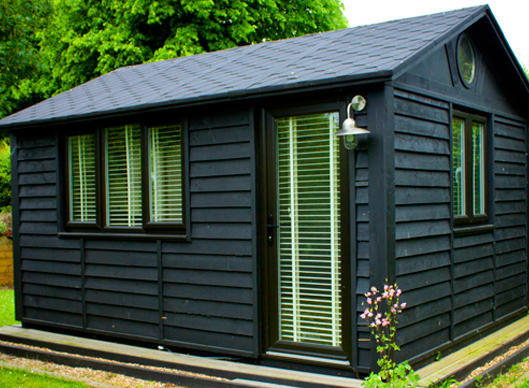 All of our offices are built to be comfortable all year around, that’s 365 days of the year whatever the weather. We love seeing just what our customers turn their Smart Offices into, and the Extro has always been a building full of potential. We’ve seen some great projects with the Extro come to life, from library’s to craft rooms, the list is endless. 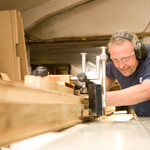 We love knowing we have some of the most talented and expert joiners and craftsmen working with us. It takes them just 2-3 days to construct the Extro! 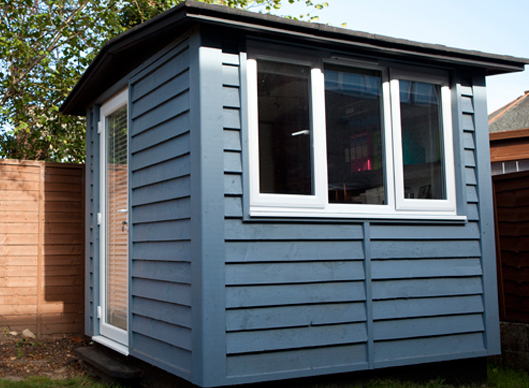 The Suffolk Duo measures 3.2m x 3.2m making it the perfect two person office. If you’re looking for something with a bit more room the Trio may be just perfect for you!